June 14, 2018. Gretchen Wallace checking in as the new owner of Yankee #114. Here is her email and we'll stand by for her reports. to get her in the water as soon as possible and enjoying her as a family. If you would like, I am happy to update you when she is all fixed up. I love your website. Welcome aboard Gretchen and spouse! 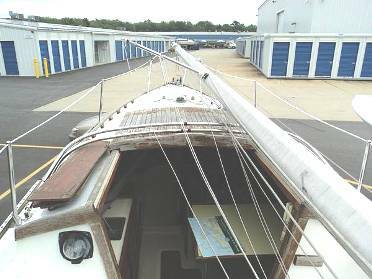 1969 Yankee Dolphin Sailboat, 24 feet long. 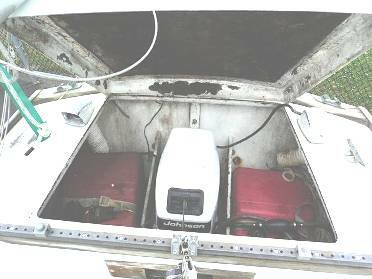 Boat includes cushions for the cockpit, as well as below deck areas, alcohol stove, mainsail, two jibs, and a 1991 Johnson 8 hp outboard motor. Two anchors, two fuel tanks, mainsail sail cover, and dodger are also included. 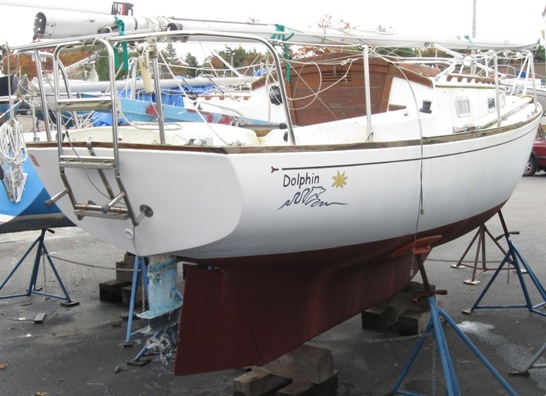 Boat needs minor cosmetic work, but nothing that would prevent you from enjoying it this summer.Sale of boat also includes launching/mast stepping at the Mattapoisett town wharf. April 28, 2014. We got the following email from Joe. Contact information on the Craigslist ad. 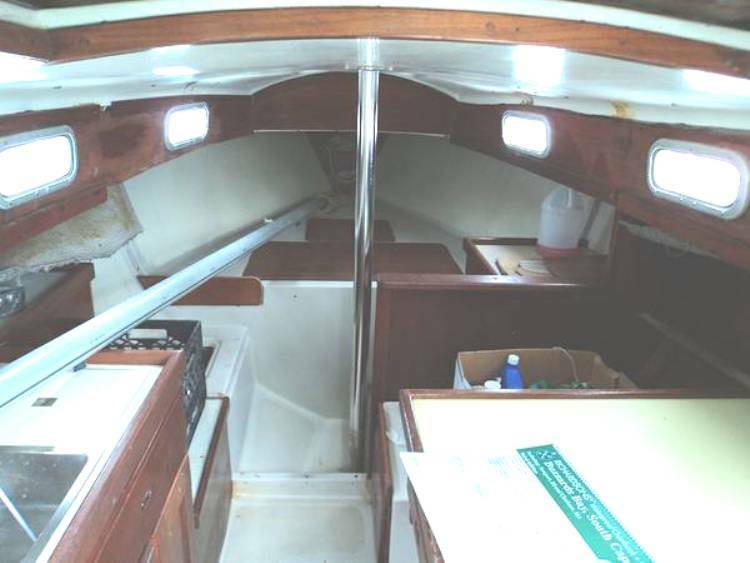 Boat includes cushions for the cockpit, as well as below deck areas, alcohol stove, mainsail, two jibs, and a 1991 Johnson 8 hp outboard motor. 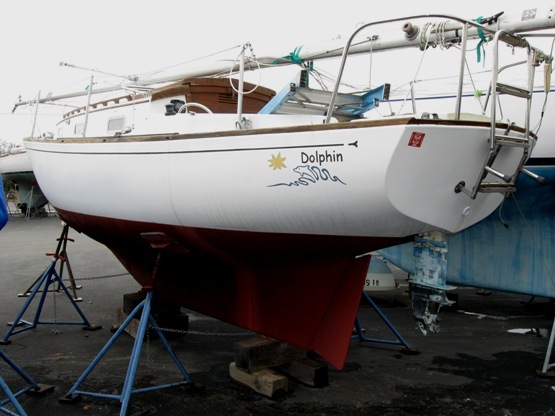 Two anchors, two fuel tanks, mainsail sail cover, and dodger are also included. 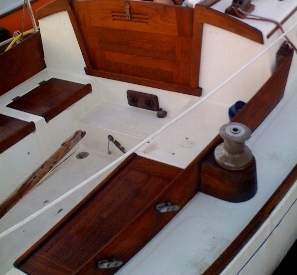 Boat needs minor cosmetic work, along the lines of sanding and varnishing, but nothing that would prevent you from enjoying it this summer. Sale of boat also includes launching/mast stepping at the Mattapoisett town wharf. September 25, 2008 Over a year ago Clark DuBois (Peridot) told us of a Dolphin for sale in Marion, Massachusettes. Unfortunately, this was one of too many loose ends we did not follow up at the time. On September 25, 2008 we heard from her former owner, Chris Converse, who advised that his Dolphin was sold to someone in the next town, Mattapoisett. That someone was Hannah Brownell, Tom Brownell's daughter (BrownellSystems.com - the boat moving company, and a good guy to know). 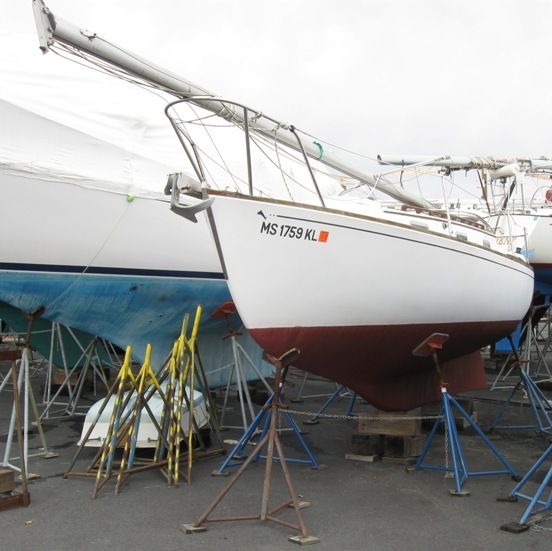 On October 22, 2008 we spoke to Tom who confirmed the boat was in Mattapoisett and next summer is expected to be sailing on Buzzards Bay. Tom promised some pictures soon. 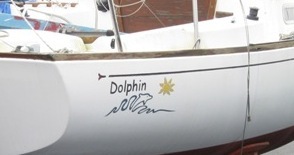 With the help of Chris Converse, and the Brownell's, we hope to get some of Dolphin's history. October 27, 2009. An undercover DFI got the following pictures of Dolphin .